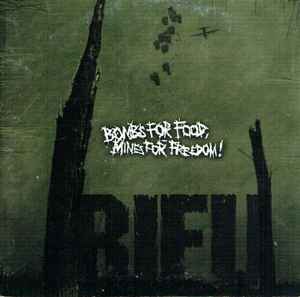 Rifu ‎– Bombs For Food, Mines For Freedom! Similar to Rifu - Bombs For Food, Mines For Freedom!, but this version is pressed by GZ Digital Media. Similar to Rifu - Bombs For Food, Mines For Freedom!, but this version has a grey booklet. Recorded at Godt Selskap, Trondheim Feb.-Mar. 2005.